After a couple of days of drama, Republican nominee Donald Trump endorsed Speaker of the House and Wisconsin Representative Paul Ryan, Arizona Senator John McCain and New Hampshire Senator Kelly Ayotte in their re-election bids for their Congressional and Senate seats. Trump made the endorsements official on Friday evening, Aug. 5, 2016, at a rally in Green Bay, Wisconsin. Trump expressed that he wanted to be a “big tent” Republican like Ronald Reagan in a speech that was rather unusual for Trump in that he read it off prepared remarks. Trump in announcing his endorsements stated, “This campaign is not about me or any one candidate, it’s about America. I understand and embrace the wisdom of Ronald Reagan’s big tent within the party. So I embrace the wisdom that my 80 percent friend is not my 20 percent enemy.” Trump emphasized that he would need the support of the House and Senate as president. Then after 10 minutes into his speech, Trump endorsed Speaker Ryan. 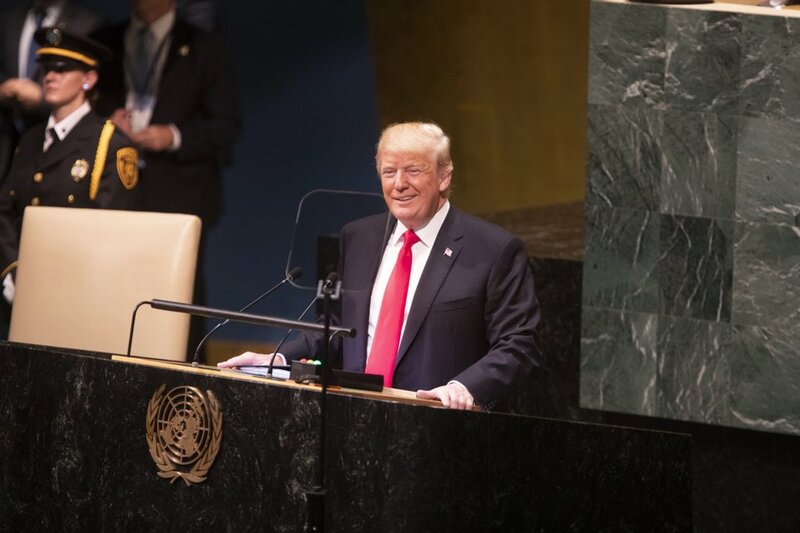 Trump remarked, “We will have disagreements, but we will disagree as friends and never stop working together toward victory. And very importantly toward real change. So in our shared mission to make America great again, I support and endorse our speaker of the house Paul Ryan.” Trump’s endorsement comes only days before Ryan’s primary on Tuesday, Aug. 9, where he leads his opponent Paul Nehlen by 66 percent. Pence later tweeted that he told his running mate in advance of his decision, “I talked to @realDonaldTrump this morning about my support for Paul Ryan and our longtime friend ship….” According to a Trump campaign insider, the GOP nominee is giving Pence “latitude” to speak his mind and convictions, and Pence’s endorsement was hardly a falling out. Trump’s withholding the endorsement, however, was causing friction with fellow Republicans, who were quickly abandoning the GOP nominee. Even Republican National Committee Chairman Reince Priebus, a friend of Ryan’s and also from Wisconsin, was upset at Trump veering off the script. Q Well, we’re thrilled to have you. THE PRESIDENT: It is good to be back. Q And a happy birthday. Q Happy birthday to you. Q So how did you celebrate Sunday? What did you do? Q But you’re pretty competitive. THE PRESIDENT: You can’t go out that far. Q You can’t grasp that number, no. (Laughter.) Now, I’ve seen Michelle tease you about your gray hair. You have a bit of silver in your hair. Do you tease back? Q As I’m married 33 years, I know exactly what you’re saying. (Laughter.) I’ve got to ask you about this. Everyone is concerned about these embassy closings. How significant is this threat? THE PRESIDENT: Well, it’s significant enough that we’re taking every precaution. We had already done a lot to bolster embassy security around the world, but especially in the Middle East and North Africa, where the threats tend to be highest. And whenever we see a threat stream that we think is specific enough that we can take some specific precautions within a certain timeframe, then we do so. Now, it’s a reminder that for all the progress we’ve made — getting bin Laden, putting al Qaeda between Afghanistan and Pakistan back on its heels — that this radical, violent extremism is still out there. And we’ve got to stay on top of it. It’s also a reminder of how courageous our embassy personnel tend to be, because you can never have 100 percent security in some of these places. The countries themselves sometimes are ill-equipped to provide the kind of security that you want. Even if we reinforce it, there are still vulnerabilities. Q This global travel warning, this is for Americans all around the world? Are we telling people don’t take that European vacation just yet? What are we saying? THE PRESIDENT: I think the general rule is just show some common sense and some caution. So there are some countries where you’re less likely to experience a terrorist attack. There are some where there are more dangers. And if people are paying attention, checking with the State Department or embassy, going on the website before you travel, find out what kind of precautions you should be taking, then I think it still makes sense for people to take vacations. They just have to make sure that they’re doing so in a prudent way. Q What do you say to those cynics who go, oh, this is an overreaction to Benghazi — how do you respond to that? THE PRESIDENT: One thing I’ve tried to do as President is not over react, but make sure that as much as possible the American people understand that there are genuine risks out there. What’s great about what we’ve seen with America over the last several years is how resilient we are. So after the Boston bombing, for example, the next day folks were out there, they’re going to ball games. They are making sure that we’re not reacting in a way that somehow shuts us down. Q It’s safe to say that we learned about these threats through the NSA intelligence program? Is that a fair assessment? THE PRESIDENT: Well, this intelligence-gathering that we do is a critical component of counterterrorism. And obviously, with Mr. Snowden and the disclosures of classified information, this raised a lot of questions for people. But what I said as soon as it happened I continue to believe in, which is a lot of these programs were put in place before I came in. I had some skepticism, and I think we should have a healthy skepticism about what government is doing. I had the programs reviewed. We put in some additional safeguards to make sure that there’s federal court oversight as well as congressional oversight, that there is no spying on Americans. We don’t have a domestic spying program. What we do have are some mechanisms where we can track a phone number or an email address that we know is connected to some sort of terrorist threat. And that information is useful. But what I’ve said before I want to make sure I repeat, and that is we should be skeptical about the potential encroachments on privacy. None of the revelations show that government has actually abused these powers, but they’re pretty significant powers. And I’ve been talking to Congress and civil libertarians and others about are there additional ways that we can make sure that people know nobody is listening to your phone call, but we do want to make sure that after a Boston bombing, for example, we’ve got the phone numbers of those two brothers — we want to be able to make sure did they call anybody else? Are there networks in New York, are there networks elsewhere that we have to roll up? And if we can make sure that there’s confidence on the part of the American people that there’s oversight, then I think we can make sure that we’re properly balancing our liberty and our security. Q When we come back, I want to ask you about Russia and Snowden. I hit on something in the monologue which just seems incredible to me, and I want to get your thoughts on that. Let me ask you about this — the NSA leaker Edward Snowden. Some call him a whistleblower. What do you call him? THE PRESIDENT: Well, we don’t know yet exactly what he did, other than what he’s said on the Internet, and it’s important for me not to prejudge something. THE PRESIDENT: Hopefully, at some point he’ll go to trial and he will have a lawyer and due process, and we can make those decisions. I can tell you that there are ways, if you think that the government is abusing a program, of coming forward. In fact, I, through executive order, signed whistleblower protection for intelligence officers or people who are involved in the intelligence industry. So you don’t have to break the law. You don’t have to divulge information that could compromise American security. You can come forward, come to the appropriate individuals and say, look, I’ve got a problem with what’s going on here, I’m not sure whether it’s being done properly. If, in fact, the allegations are true, then he didn’t do that. And that is a huge problem because a lot of what we do depends on terrorists networks not knowing that, in fact, we may be able to access their information. Q Let me add — now, he was a contracted employee. Q And it seems the government has a lot of these. I remember when I was coming up my brother was in ROTC, and in those days, they would take college students, you go into the Army, the Army would train you. This guy is being paid money by an outside firm, living in Hawaii, got the stripper girlfriend. All of a sudden you’re all upset with what the government is doing, and you go to another country. I mean, in my era, Daniel Ellsberg stood in the town square and said, “I’ve got this,” got arrested, The New York Times — I mean, should we go back to not using so many — whether it’s Blackwater or any of these contract — these people who are Hessians, they get paid? THE PRESIDENT: Well, I think you’re raising an important issue. We’ve been trying to reduce the reliance on contractors. Some of the contractors do a great job, and they’re patriots and they’re trying to support our mission. Sometimes they can do it more efficiently or effectively if they’ve got some specialized knowledge. But one of the things that I’ve asked our team to look at is, when it comes to intelligence, should we, in fact, be farming that much stuff out. And there are a lot of extraordinarily capable folks in our military and our government who can do this, and probably do it cheaper, and then benefit from the training that they get so that when they transfer — (applause) — they’re in a better position. Q Now, were you surprised that Russia granted Snowden asylum? THE PRESIDENT: I was disappointed because even though we don’t have an extradition treaty with them, traditionally we have tried to respect if there’s a law-breaker or an alleged law-breaker in their country, we evaluate it and we try to work with them. They didn’t do that with us. And in some ways it’s reflective of some underlying challenges that we’ve had with Russia lately. A lot of what’s been going on hasn’t been major breaks in the relationship, and they still help us on supplying our troops in Afghanistan; they’re still helping us on counterterrorism work; they were helpful after the Boston bombing in that investigation. And so there’s still a lot of business that we can do with them. But there have been times where they slip back into Cold War thinking and a Cold War mentality. And what I consistently say to them, and what I say to President Putin, is that’s the past and we’ve got to think about the future, and there’s no reason why we shouldn’t be able to cooperate more effectively than we do. Q And Putin seems to me like one of those old-school KGB guys. Q Yes. Well, that’s what I mean. Yes, that’s what I mean. He has that mentality. I mean, look at this picture here. You two don’t look pretty — (laughter) — you look like me and the NBC executives. What is going on there? (Laughter.) That doesn’t look like a friendly picture. THE PRESIDENT: Well, the truth is, is that when we have meetings we can have some pretty blunt exchanges and animated exchanges. But he’s got — that seems to be his preferred style during press conferences, is sitting back and not looking too excited. (Laughter.) Now, part of it is he’s not accustomed to having press conferences where you’ve got a bunch of reporters yelling questions at you. THE PRESIDENT: Coming up, right. Q Are you going to that and will you meet with Putin? THE PRESIDENT: I will be going to that. I will be going to that because the G20 summit is the main forum where we talk about the economy, the world economy, with all the top economic powers in the world. So it’s not something unique to Russia. They’re hosting it this year, but it’s important for us, as the leading economy in the world, to make sure that we’re there — in part because creating jobs, improving our economy, building up our manufacturing base, increasing wages — all those things now depend on how we compete in this global economy. And when you’ve got problems in Europe, or China is slowing down, that has an impact here in the United States. And I’ve been saying for the entire tenure of my presidency that my number-one priority at all times is how do we create an economy where, if you work hard in this country, you can succeed. And there are a lot of things that we can do here in this country, but we’ve also got to pay attention to what’s going on outside it. — I mean, why is not more of the world outraged at this? THE PRESIDENT: Well, I’ve been very clear that when it comes to universal rights, when it comes to people’s basic freedoms, that whether you are discriminating on the basis of race, religion, gender or sexual orientation, you are violating the basic morality that I think should transcend every country. And I have no patience for countries that try to treat gays or lesbians or transgender persons in ways that intimidate them or are harmful to them. Q Do you think it will affect the Olympics? Q Good enough for me. We’ll be right back. We’ll talk about the economy when we come back. Q Welcome back. We’re talking with the President of the United States, Barack Obama. Hey, let’s talk about the economy. Things seem to be getting better, seem to be improving. THE PRESIDENT: Well, the economy is growing. THE PRESIDENT: The unemployment rate has been ticking down, and housing is improving. We’ve seen the deficit cut in half. Health care costs are actually going up slower than they have in — any time in the last 50 years. So there are a lot of good trends. THE PRESIDENT: But I think what folks all across the country would tell you is we’ve got a lot more work to do. Wages and salaries haven’t gone up. Middle-class families are still struggling to make sure they can pay for their kids’ college education. They’re still concerned about whether they can retire. And what Washington should be thinking about every single day is how do we make sure we’ve got an economy where if folks work hard, they can find a good job that pays a decent wage; they can send their kids to college; they’ve got health care they can count on; they can retire even if they don’t get rich — or even if they’re not rich; and that we’re creating these ladders of opportunities for people to get into the middle class. And what’s happened over the last 20 years is — actually longer than that, probably over the last 30 — is that the gap between those of us at the very top and the vast middle has been growing wider and wider. And some of that is globalization. Some of it is technology. You go to a factory — you’re a car guy — if you go to an auto plant now, robots, and it’s clean as a whistle, and it doesn’t employ as many people as it used to. So a lot of those middle-class jobs have gone away. And what we have to do is make sure that we are investing in infrastructure, research; making sure our kids are educated properly; and an improved and more stable housing market instead of the kind of bubbles that we had before. All those things can really make a difference. THE PRESIDENT: I don’t know. As you know, for the last three years, I’ve said, let’s work together. Let’s find a financing mechanism and let’s go ahead and fix our bridges, fix our roads, sewer systems, our ports. The Panama is being widened so that these big supertankers can come in. Now, that will be finished in 2015. If we don’t deepen our ports all along the Gulf — places like Charleston, South Carolina, or Savannah, Georgia, or Jacksonville, Florida — if we don’t do that, those ships are going to go someplace else. And we’ll lose jobs. Businesses won’t locate here. So this is something that traditionally has been bipartisan. I mean, it used to be Republicans and Democrats, they love cutting those ribbons. THE PRESIDENT: And we’ve got a bunch of construction workers who aren’t working right now. They’ve got the skills. They want to get on the job. It would have a huge impact on the economy not just now, but well into the future. So I’m just going to keep on pushing Republicans to join with us, and let’s try to do it. Part of it is — what they’ll say is, we like infrastructure, but we don’t want to pay for it. And one of the things I’ve been trying to get across here is, is that we don’t need a huge government, but we need government doing some basic things, and we should all agree on a sensible mechanism to go ahead and pay for it — make sure we don’t waste money, make sure we’re cutting down on permitting times and delays, but let’s go ahead and get it done. Q Would it be possible to do a modern WPA, almost like a America Peace Corps where kids get paid a decent wage, you give them food, and they fix up Detroit, they fix up other cities — whatever — they fix bridges? I mean, when you travel this country, you see these great bridges and things that were built by — and they have the plaque, the guys that built it in 1932, in 1931. THE PRESIDENT: And it was incredibly important for not just the economy in the ‘30s, we use it still — Golden Gate Bridge, Hoover Dam. It opened up opportunity for everybody. The Interstate Highway System — think of all the businesses that got created because we put that together. Q And let me ask you about something I’m seeing. Is it me, or do I see kind of bromance with you and John McCain? (Laughter.) I remember you two had that lovers’ quarrel for a while. And, oh, now, you’re, oh — well, you’re best friends. THE PRESIDENT: John McCain and I have a number of philosophical differences, but he is a person of integrity. He is willing to say things regardless of the politics. The fact that he worked hard with a group of Democratic and Republican senators on immigration reform; they passed a bill in the Senate that will make sure that folks who are here illegally have to pay back-taxes and pay a penalty and get to the back of the line, but over time have a pathway to citizenship, and make sure that we’re strengthening our borders. He went ahead and passed that even though there are some questions in his own party. So I think that he deserves credit for being somebody who is willing to go against the grain of his own party sometimes. It’s probably not good for me to compliment him on television. Q Yes, yes. (Laughter.) Get a big head. THE PRESIDENT: But I think that he’s an example of a number of Republicans in the Senate, in the House, who want to be for something, not just be against everything. (Applause.) And the more that they can try to move in that direction, I think the better off we’ll be. Q Now, we’re going to take a break. I want to talk about Hillary because I know you had lunch with her. Q (Applause.) We are back with the President of the United States. You and Hillary had lunch last — who invited who to lunch? I’m curious. THE PRESIDENT: I invited her. THE PRESIDENT: No. Keep in mind, she’s been there before. Q Right, that’s true. That’s true. THE PRESIDENT: So she doesn’t have to measure them. Q So what’s the latest in health care? What’s new? So a lot of consumer protections got put in place. But on October 1st, if you don’t have health care right now, you can join what are called these marketplaces and you’ll be able to get lower-cost health care. Here in California, it’s estimated it will be 20, 30 percent cheaper than what you’re already getting. And we’ll give you subsidies — tax credits, essentially — if you still can’t afford it. So you can go to healthcare.gov and right now you can pre-register essentially and start figuring out is this plan right for you. Q Well, I was able to get health care from — the guys who worked at my shop for me are all over 50. They never had health care. And I was able to get it now because you can’t be turned down. So thank you for that. Q Something I thought was — I thought you spoke very eloquently about the Trayvon Martin case and I could tell you were speaking from the heart. And tell me about that. THE PRESIDENT: Well, I think all of us were troubled by what happened. And any of us who were parents can imagine the heart ache that those parents went through. It doesn’t mean that Trayvon was a perfect kid — none of us were. We were talking offstage — when you’re a teenager, especially a teenage boy, you’re going to mess up, and you won’t always have the best judgment. But what I think all of us agree to is, is that we should have a criminal justice system that’s fair, that’s just. And what I wanted to try to explain was why this was a particularly sensitive topic for African American families, because a lot of people who have sons know the experience they had of being followed or being viewed suspiciously. THE PRESIDENT: — make sure that we have a conversation and that we’re all asking ourselves are there some things that we can do to foster better understanding, and to make sure that we don’t have laws in place that encourage the kind of violent encounter that we saw there that resulted in tragedy. THE PRESIDENT: Let me say this — I have broccoli a lot. (Laughter.) I mean, no, you can ask my staff. THE PRESIDENT: It goes especially well with burgers and fries. Q And did Michelle make a broccoli cake with broccoli icing? THE PRESIDENT: Well, I won’t go that far. Q Well, that’s good. Really proud of that. Mr. President, it’s been an honor. I know you have to go. THE PRESIDENT: It was nice to see you. THE PRESIDENT: Before we go, well, Jay, I know you’re very proud of your car collection. THE PRESIDENT: Well, there’s one piece that’s missing. THE PRESIDENT: This is the Beast. Q Oh, look at that. My friend, Ed Wellburn, designed that car. Will you sign the roof? THE PRESIDENT: I will sign the roof. THE PRESIDENT: There you go, Jay. THE PRESIDENT: Thank you so much. Q Mr. President, a pleasure and an honor, sir. THE PRESIDENT: I appreciate it. Senators John McCain, R-Ariz., and Chuck Schumer, D-N.Y., emerged from a White House meeting Tuesday confident that President Obama supports the immigration reform bill they plan to introduce Tuesday night. 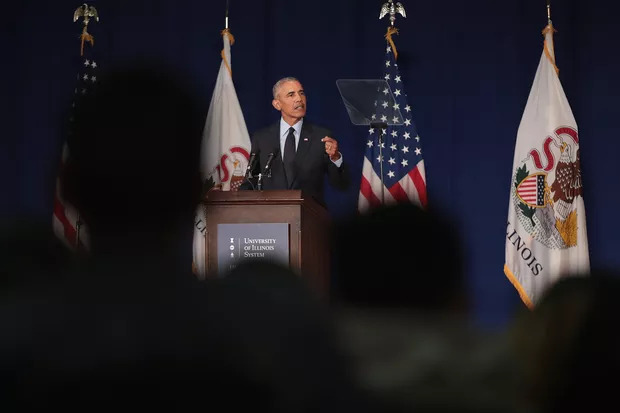 President Obama and Republican senators had a “good exchange of ideas” Wednesday evening during their roughly two-hour-long dinner at the posh Jefferson Hotel, just blocks from the White House, according to a senior administration official…. As Washington gets socked by a snowstorm and sequester, President Obama begins a new strategy of personal outreach to congressional Republicans. Sen. John McCain defended his immigration reform proposals during a contentious town hall event on Tuesday in his home state. Republicans criticized President Obama’s call Tuesday for a short-term deficit reduction package of spending cuts and tax revenue to postpone the deep automatic cuts known as sequestration that would begin the first week of March if a deficit cutting deal is not reached…. The briefing was held on Wednesday before the Senate Homeland Security Committee — of which Senator McCain is a member — and lasted three hours, featuring testimony by officials from the State Department, the Pentagon, the CIA and the National Counterterrorism Center. Republican Senators John McCain and Lindsey Graham pledged to do everything in their power to block U.N. Amb. Susan Rice if she is nominated as Secretary of State. Keeping the drumbeat up, Sen. John McCain, R-Ariz., introduced a resolution in the Senate Tuesday calling for the appointment of a special counsel to investigate the string of recent national security and intelligence leaks. Ms. Goodman is the Editor of History Musings. She has a BA in History & Art History & a Masters in Library and Information Studies from McGill University, and has done graduate work in history at Concordia University. Ms. Goodman has also contributed the overviews, and chronologies in History of American Presidential Elections, 1789-2008, 4th edition, edited by Gil Troy, Fred L. Israel, and Arthur Meier Schlesinger published by Facts on File, Inc. in 2011. Top Democrats and Republicans Thursday demanded an end to leaks of classified intelligence because, they said, the leaks are putting lives at risk and jeopardizing future operations. Thursday afternoon, the senior Democrats on the House and Senate intelligence committees joined together with Republicans to denounce a recent flood of national security leaks about U.S. covert actions in counterterrorism and espionage, and to announce their collective effort to investigate the recurring issue of classified information being disclosed in the media. Earlier this week, the FBI has opened a leak investigation into the disclosures in the New York Times last week that President Obama ordered the intelligence community to speed up cyber attacks against Iran with the Stuxnet worm, according to federal law enforcement officials. In recent weeks, there have also been stories about the president’s “kill list” of al Qaeda drone targets and another about the double agent who helped the U.S. foil the latest attempted al Qaeda attack on a U.S. airline. 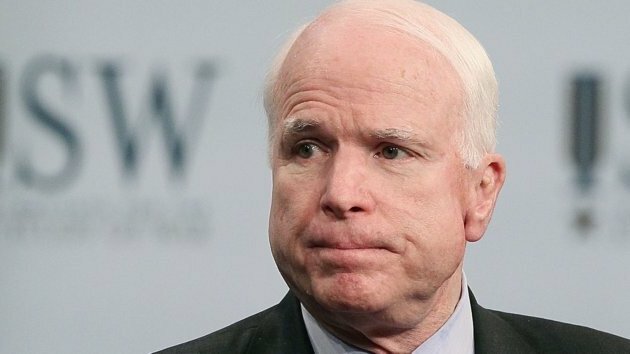 McCain Calls on White House to Plug Intelligence Leaks: Describing the string of recent intelligence leaks to news outlets as “disturbing” and “simply unacceptable,” Sen. John McCain, R-Ariz., accused the White House of putting the president’s ambitions for another term in the Oval Office ahead of national security. Axelrod Denies Participating in Anti-Terror Discussions: The communications director of President Obama’s reelection campaign today denied a report in the New York Times that he had sat in on weekly White House meetings on terrorism. In Memorial Day Tribute, Romney Warns of Threats Around the Globe: Delivering a Memorial Day tribute on Monday, Mitt Romney thanked the sacrifice of servicemen and women while warning of the grave dangers around the globe, remarking frankly that “the world is not safe” before ticking off a list of grave security issues around the globe. 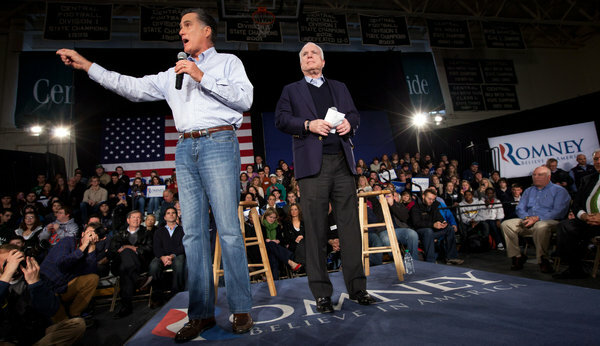 McCain endorses Romney for the 2012 GOP presidential nomination: Sen. John McCain (R-Ariz.), the 2008 GOP presidential nominee, endorsed former Massachusetts governor Mitt Romney for the 2012 Republican nomination in New Hampshire on Wednesday. Credit rating agency Standard & Poor’s lowered the U.S. government’s credit rating for the first time Friday, from the top AAA rating to AA+. That affects long-term debt, which means government securities that have terms of more than one year. S&P blamed political deadlock in Washington that threatens to keep the country from dealing effectively with its debt. Asian stock markets sink after US credit downgrade: Asian stocks nose-dived Monday as the first-ever downgrade of the U.S. government’s credit rating jolted the global financial system, reinforcing fears of a rapid slowdown in economic growth. Oil prices extended recent sharp losses, trading below $84 a barrel on expectations that weaker global growth will crimp demand for crude. The dollar was lower against the yen and the euro. Among the major Asian markets, Hong Kong’s Hang Seng tumbled 4 percent to 20,100.20 and South Korea’s Kospi crumpled 6.7 percent to 1,814.100. Japan’s Nikkei 225 stock average dropped 2.5 percent to 9,067.88. Futures pointed to losses on Wall Street when it opens Monday. Dow futures were off 258 points, or 2.3 percent, at 11,144 and broader S&P 500 futures shed 28.8 points, or 2.4 percent, to 1,169.00. Asian stocks slide after US debt downgrade: Asian stocks fell on Monday after last week’s historic downgrade of the United States’ credit rating, which compounded concerns over the world’s biggest economy as well as the global outlook. U.S. Stock Futures Fall on S&P Downgrade: U.S. stock futures declined, following the biggest weekly drop in the Standard & Poor’s 500 Index since 2008, amid concern that a downgrade of the nation’s credit rating by S&P may worsen an economic slowdown. S&P 500 futures expiring in September declined 2.1 percent to 1,172.3 at 7:03 a.m. in Tokyo. Dow Jones Industrial Average futures lost 253 points, or 2.2 percent, to 11,149. G7 gives first sign ready to battle crisis: Political and financial leaders gave their first sign of readiness to battle a debt crisis gone global when the European Central Bank signaled on Sunday it would start buying Italian and Spanish debt, a critical move to quell a bond rout that has rocked financial markets. The European Central Bank decision would be aimed at calming markets grown increasingly doubtful about Europe’s ability to deal with its debt issues, a strikingly parallel concern to that which led ratings agency Standard & Poor’s to knock U.S. debt down from “risk free” AAA status to AA-plus. Dollar Weakens to Record Versus Franc as S&P Lowers U.S. Rating: The dollar dropped to a record low against the Swiss franc and fell for a second day versus the yen after Standard & Poor’s downgrade of the U.S. added to concern the fiscal health of the world’s biggest economy is slipping. U.S. 10-Year Treasury Yield Retraces Decline: Benchmark 10-year U.S. Treasury bonds retraced early losses Monday to rise above Friday’s closing levels, despite the unprecedented downgrade by Standard & Poor’s of its rating on U.S. government debt. S&P executive: 1 in 3 chance of future downgrade: A top political adviser to President Barack Obama blamed the downgrade of the U.S. credit rating on tea party Republicans, whom he said were unwilling to compromise on how to reduce the federal debt. Greenspan sees stock market drop after downgrade: Former Federal Reserve Chairman Alan Greenspan says he expects the stock market slide to continue in the wake of a decision by credit rating agency Standard & Poor’s to downgrade the U.S. credit rating. Kerry, McCain say bipartisan work needed post-S&P downgrade, differ on who to blame: Two senators and former presidential candidates say Standard & Poor’s decision to downgrade the U.S. credit rating speaks to the need for more bipartisan compromise — but they also say the blame lay with the other party. 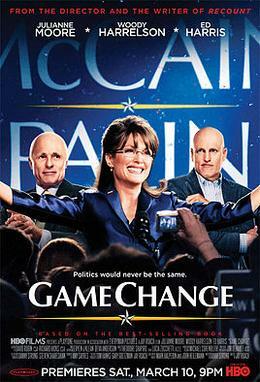 John Kerry was the Democratic nominee for president in 2004, and John McCain was the Republican nominee in 2008. Appearing Sunday on NBC’s “Meet the Press,” Kerry called S&P’s decision a “tea party downgrade.” The Massachusetts Democrat says he believes that tea party supporters in the House are holding up progress.